Its always a good idea to work for friends. 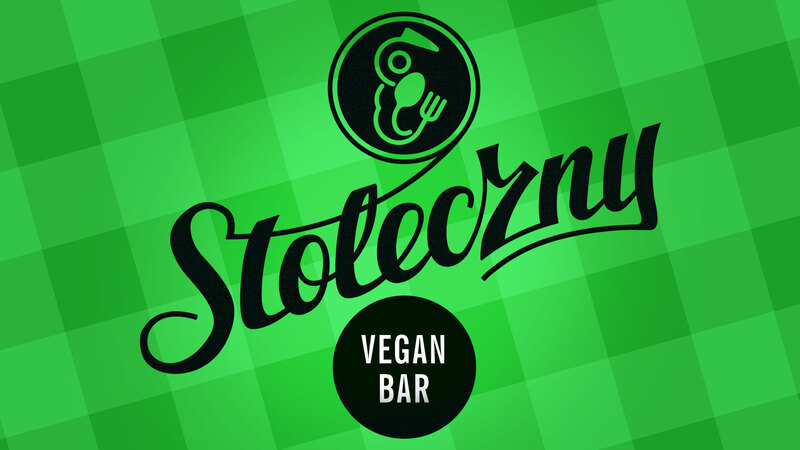 I am very proud of creating a whole visual communication for Stołeczny Vegan Bar. 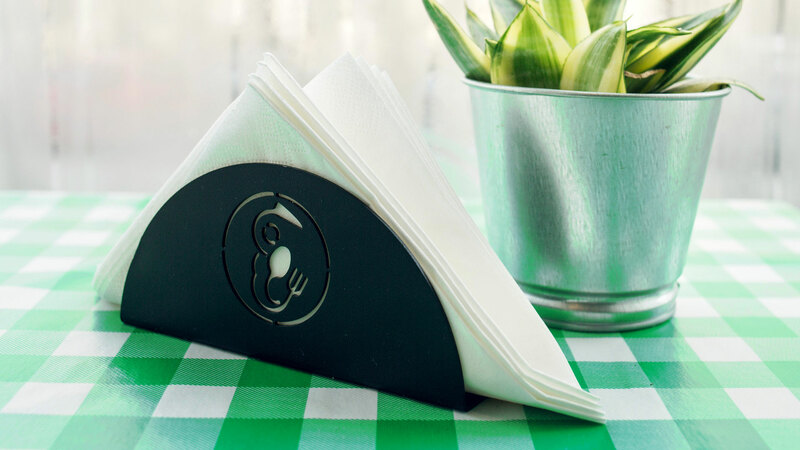 I have created a whole range of graphic design for them including logotype, menu, counter sign, window sign, napkin holders and leaflets. 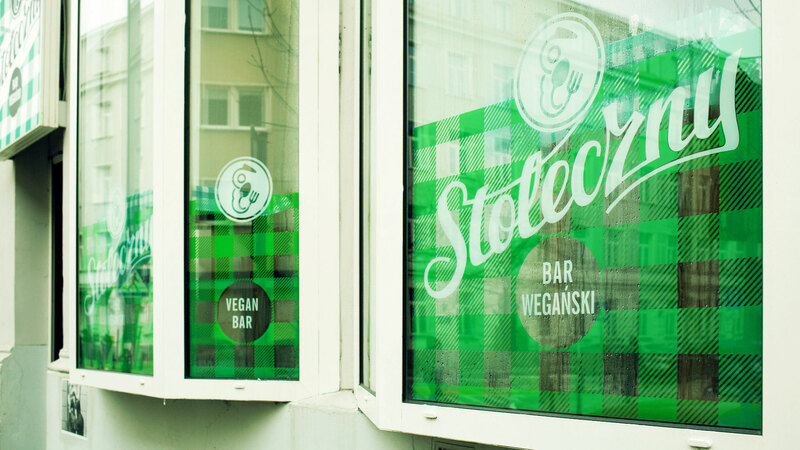 The concept of the venue comes from milk bar – a cheap, government-subsidized cafeteria, serving traditional Polish cuisine from communist era. 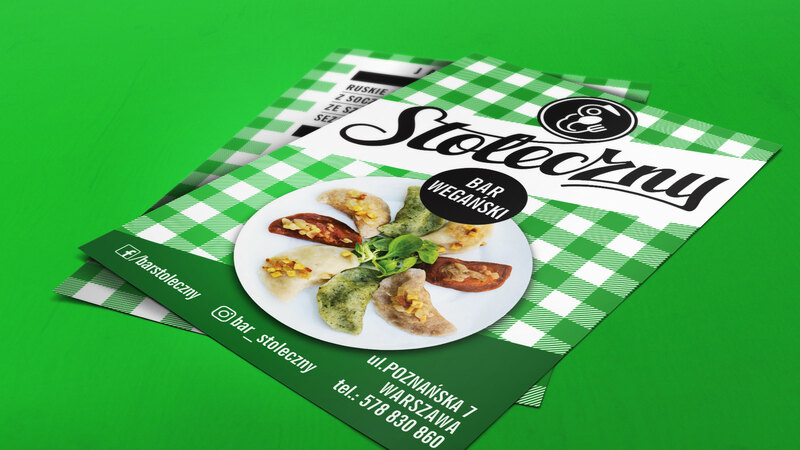 Nowadays, following international trends Stoleczny was serving variety of traditional Polish but only vegan dishes. 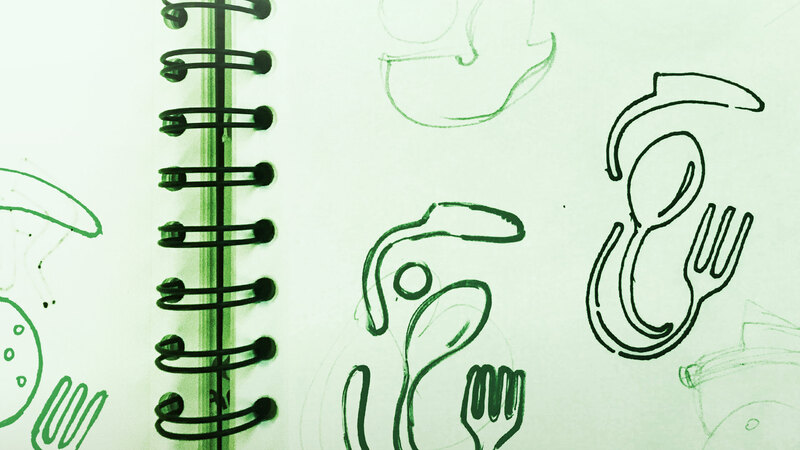 The logotype idea presents Warsaw mermaid, the city’s coat of arm, holding curtlery instead of sword and shield. 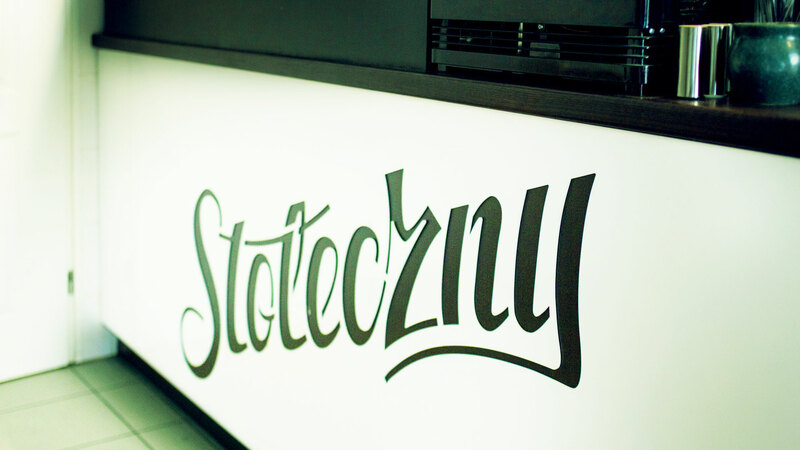 Also as a connection to old times Stolecznys typography uses traditional signs lettering. Do you fancy vintage places? 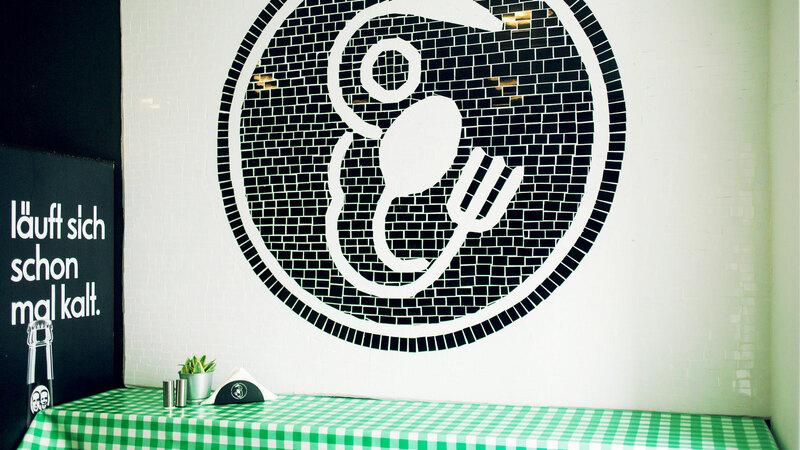 Look at this mosaic on the wall and order fantastic vegan Pierogi – Polish dumplings that are now vegan and cruelty free. 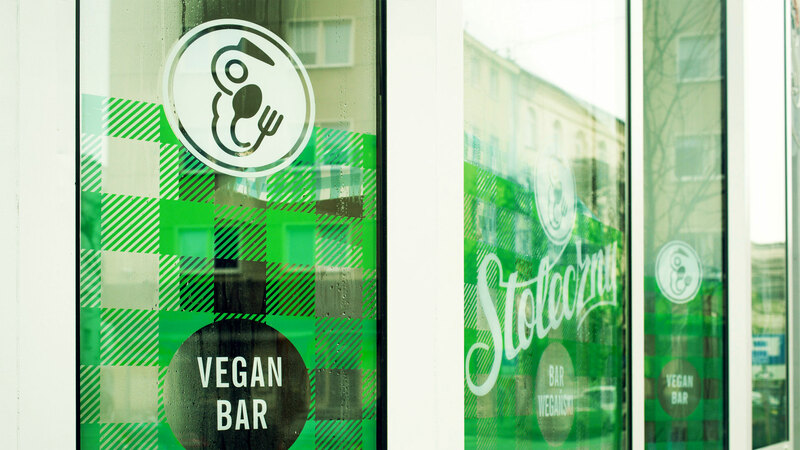 Interesting fact is that Warsaw is the third-most vegan-friendly city in the world. Our capital has a lively vegan restaurant scene that emerged over the last decade.